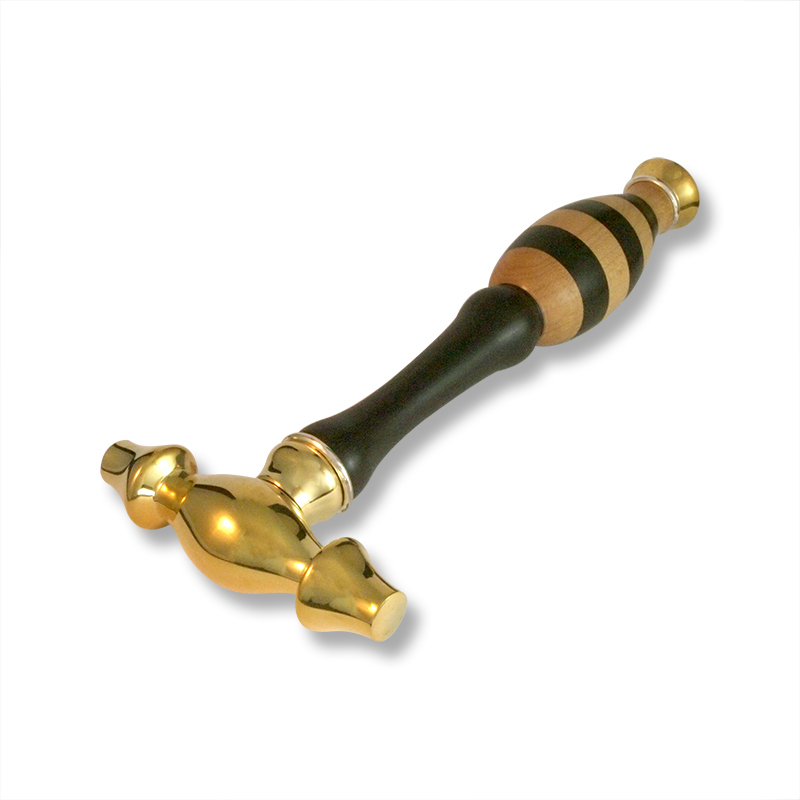 Both beautiful and functional, this striking tool by Sue Aygarn-Kowalski was painstakingly crafted from exotic and domestic hardwoods, sterling silver and highly polished brass, with a stainless steel shaft for strength. The colors of the ebony and maple woods used in the handle are naturally occurring and Aygarn-Kowalski slices them into pieces before aligning the grain and gluing them to the steel shaft to be hand turned on a lathe. The balance and weight of this hammer as well as the satin finish of the handle from multiple polishings make this piece a joy to experience in the hand.